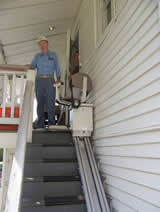 Need an outdoor stair lift or platform lift? You’ve come to the right place. 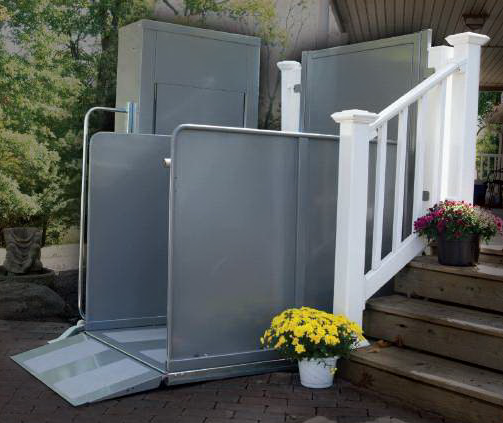 In addition to our vast knowledge and experience with indoor lift products, we also know a thing or two about outdoor stairlifts. Many homes have stairs or another challenging entry method that can be a real problem. Contact us today to find out how we can help you get into your home with the ease and confidence you deserve. 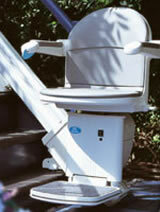 We have multiple brands of stairlift available and can recommend the correct machine for your climate area. We can install both straight and curved lifts outdoors. If your stairs are made of wood, concrete or anything else, we can take care of it for you.